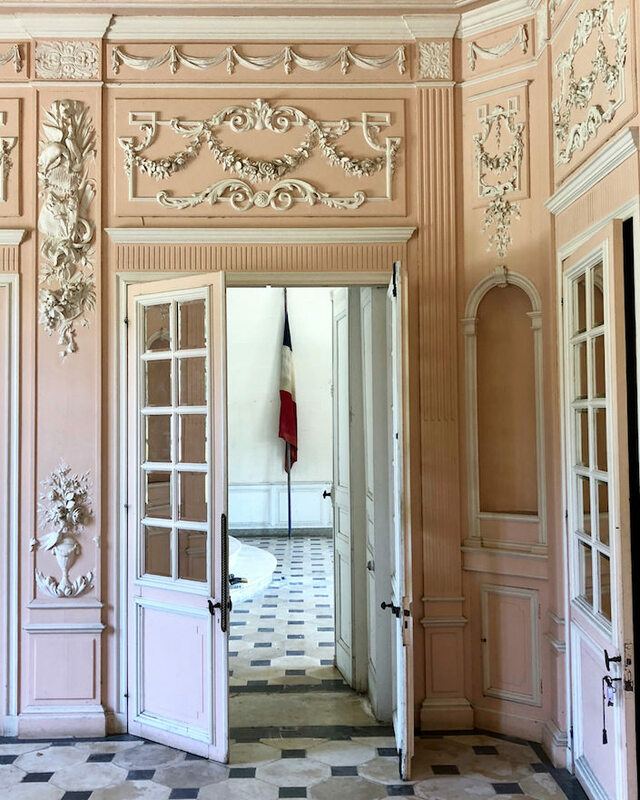 There are few people who could not only imagine but are capable of bringing an 18th century French chateau back to life. Designer Timothy Corrigan is not only capable but enthusiastic and experienced, having expertly renovated his former French home, Château du Grand-Lucé. 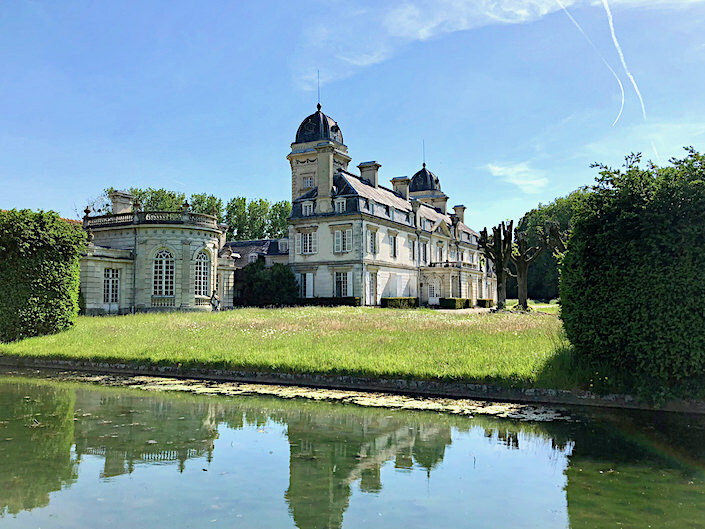 Since then he has found a new love in the northern Loire, the Château de la Chevallerie. Susanna and I were thrilled to visit Tim there this spring just as he was embarking on bringing this exquisite jewel into the 21st century. 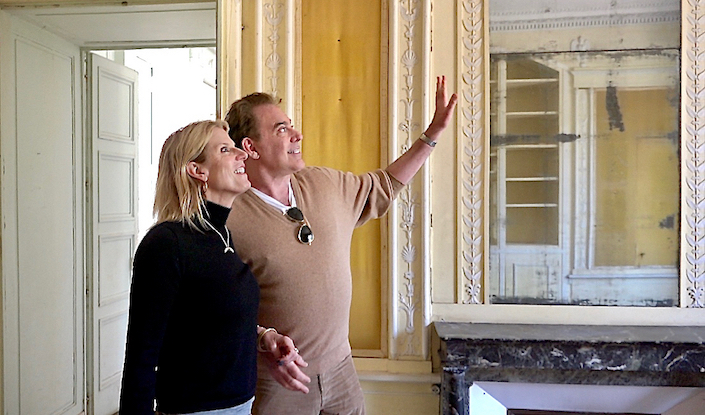 Please join us as Timothy explains his vision for his beautiful new French country home! And while his last chateau was on a grander scale, this one’s charms are in part due to its more quirky nature and approachable scale. 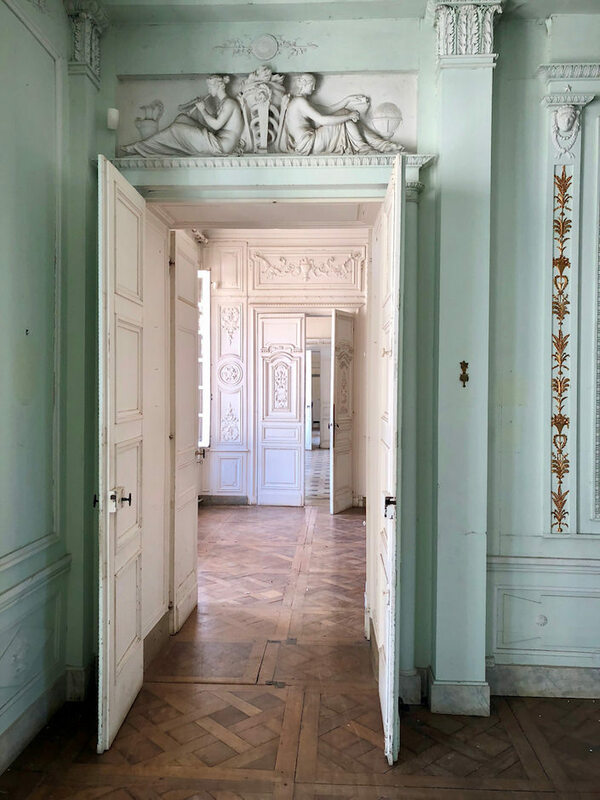 With beautiful architectural details, remarkable original boiserie and bucolic views from almost every room, Chateau de la Chevallerie is a neglected sleeping beauty awaiting its awakening. With a deep love and knowledge of French history and the decorative arts, Timothy is expertly equipped to undertake such a herculean task. But don’t expect strict historically accurate interiors, for while Tim has a love for antique structures and furniture, his signature is melding a timeless European elegance with modern livable comfort. You can learn more about how Tim incorporates antiques into his projects here, and watch him shopping at the les Puces in Paris with Susanna here. Timothy’s design expertise has been tapped by a myriad of companies. With an integrated line of fabrics, furniture, trims and rugs for Schumacher and Patterson, Flynn & Martin, a line of bath fixtures for THG Paris, his “Les Folies” wallpaper collection with Fromental, two porcelain collections with Royal Limoges and most recently a passementerie collection with Samuel & Sons, it is easy to bring a little of Timothy’s French inspired aesthetic home. In fact Timothy has been honored by the French Heritage Society for his “exemplary accomplishments working in exquisite French Style” and was this year’s honoree at the Institute of Classical Architecture & Art Southern California Chapter‘s Annual Legacy Dinner. So thank you Timothy for such a glorious day at your extraordinary new chateau!! We can’t wait to come back and see how you transform your sleeping beauty! And thank you to Bespoke Designs who helped craft our special gift for Tim!